In this video we provide step-by-step instructions on how to enable and control the autopilot using SkyView's Simplified Control Scheme. This control scheme is ideal for VFR flying that doesn't require the more complex modes that our IFR-centric Expert Control Scheme offers. Watch Dynon Sales Manager Kirk Kleinholz, CFII, briefly introduce the new features and controls for SkyView's integrated dual axis autopilot. Operating SkyView’s integrated autopilot is extraordinarily easy when using the Simplified control scheme. Behind the Panel: Dynon Products aren't that "Experimental"
We're excited to announce the release of SkyView Version 7.1, which adds support for European charts. In addition to VFR and IFR procedure charts and airport diagrams, European chart subscriptions include the visual approach, landing, and area charts that European pilots need to navigate effectively near airports. Woodinville, WA, December 4th, 2013 - Dynon announces SkyView Version 7.1, adding support for European charts. In addition to VFR and IFR procedure charts and airport diagrams, European chart subscriptions include the visual approach, landing, and area charts that European pilots need to navigate effectively near airports. Our launch partner is PocketFMS, who already provides digital aviation (AeroData) databases for SkyView customers in Europe. Charts from PocketFMS are available to all customers with a full PocketFMS Frequent Flyer membership. Frequent Flyer membership costs €150 per year and includes AeroData, charts (including Pooleys for the UK), airport diagrams, and visual approach charts. This is only €31 more than the existing SkyView AeroData-only subscription (which remains available). Additionally, if you are a PocketFMS AeroData subscriber as of the release of European charts prior to Dec 2013, your account will be upgraded to a Frequent Flyer subscription for the duration of your existing subscription. Note that neither German DFS Visual Approach charts nor Swiss SkyGuide VFR Plates are included in this price. But, they are available at additional cost. With European chart availability much less centralized than it is in the US, Dynon supports multiple European chart data vendors so customers can choose the solution that best works for their region. 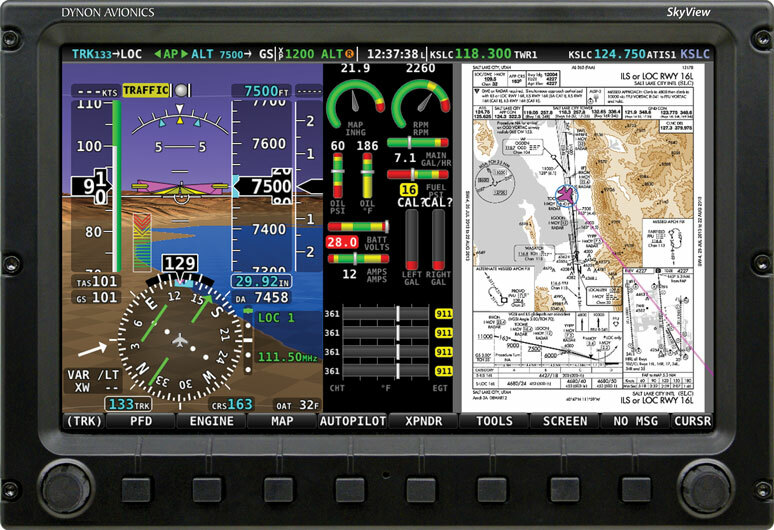 Seattle Avionics, already a US SkyView chart provider, expects to have their European charting solution available in the coming weeks. European ChartData subscriptions from Seattle Avionics will cost €199, and will also exclude German DFS charts. SkyView 7.1 is available December 2013, as a FREE upgrade for existing SkyView customers, from our website. Additional information about European chart subscription options is also available. SkyView 7 Available: Charts, Airport Diagrams, and more! We've just released SkyView 7, with support for Charts and Airport Diagrams, as well as the ability to select things on the map like airports and airspace (this is really useful, especially in dense areas). With these two features, I was able to fly back from Oshkosh without a single piece of paper. Actually, that's a lie. I did have my "VFR" Oshkosh departure card printed. There are a few other new awesome features in this release as well. Timers, fuel tank switch reminder, ATC/FSS frequencies, and a couple of subtle but workload-reducing improvements to the Expert Autopilot control scheme. See the "what's new" page for all of the details. We're still working through non-US scenarios on the charting front, so unfortunately, those won't be available at this time. As it turns out, EU governments really don't make it easy for small companies to provide data that's anywhere near affordable. We hope to have an update on that front soon. On a positive note, we've structured a deal with Seattle Avionics for US data that gets US customers all the available procedure charts (plates), FAA airport diagrams, AND the Flight Guide airport diagrams (about 5k in the US) for only $99/year. No VFR/IFR split, no hidden fees. ...and the software update to SkyView 7 at http://downloads.dynonavionics.com. Woodinville, WA, September 16th, 2013 - Dynon Avionics released its latest addition to SkyView’s Navigation tool box: Geo-Referenced Approach/Departure Charts and Airport Diagrams. Since releasing SkyView in 2009, Dynon has continuously improved SkyView’s mapping capabilities by listening to customers. 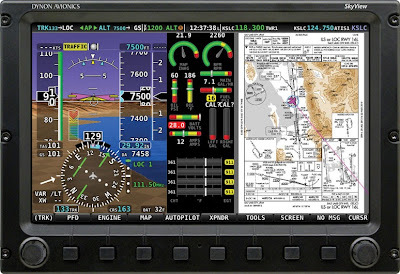 With geo-referenced charts and airport diagrams, Dynon is able to offer experimental and LSA pilots a “paperless” cockpit. SkyView’s new charting capabilities allow pilots to quickly find and display the procedures they need during flight, all while showing the aircraft’s position and track on the chart itself. With the touch of a button, SkyView automatically loads the available airport diagram while on the ground. Through a unique Dynon-subsidized program with Seattle Avionics, all available U.S. FAA charts, airport diagrams, and thousands of Flight Guide airport diagrams are available at an unprecedented price of $99 per year. There are no hidden costs and no separate VFR and IFR packages. In the U.S., this release includes procedure charts: IFR departures, arrivals, approaches, Hot Spots, Land and Hold Short Operations, and supplemental text. Airport diagrams include both the official FAA diagrams as well as Flight Guide’s set of nearly 5,000 extremely detailed airport diagrams for virtually every public-use airport in the US. They include locations and names for FBOs, fuel stations, and more, as well as runways and taxiways. Most charts and diagrams are geo-referenced, which allows SkyView to display the aircraft’s location superimposed on each chart. Detailed coverage information is available from Seattle Avionics – Dynon’s data partner for this feature. Coverage outside of the US will not be initially available. However, Dynon continues to work on sourcing an affordable and comprehensive charting data solution for its international customers. SkyView’s Moving Map also receives major enhancements in version 7.0. In addition to its current ability to pan the map for situational awareness, SkyView now provides instant information about airports, obstacles, navaids, waypoints, and airspaces, simply by pointing at them. When selected, items are highlighted on-screen and are accompanied by a useful data block that shows relevant information about the feature, all without any additional button pushing. This is particularly useful to highlight individual airspace segments in busy parts of the country that have multiple airspaces overlaid on top of each other. Other features included in this release are built in count-up / count-down timers, as well as a fuel tank switch reminder that can be configured to alert on either elapsed time or fuel consumption. Air Route Traffic Control Center and Flight Service Station frequencies are now available from within SkyView (US FAA data only). SkyView 7.0 is available September 2013, as a FREE upgrade for existing SkyView customers. The SkyView COM Radio will change the way you use an aircraft radio. By integrating deeply with your Dynon SkyView system, the SkyView COM Radio tunes frequencies by airport and station type - rather than by spinning in a number - at the touch of a button. You can also send frequencies over from the SkyView map airport info pages. For when you’re feeling nostalgic (or are following ATC instructions), a dual concentric knob lets you spin in frequencies “the old fashioned way.” SkyView will identify the airport and station type as you tune to help ensure you’re talking to the right radio station. Dynon offers two COM radios: the SV-COM-C25 has 25 kHz channel spacing only. The SV-COM-X83 adds 8.33 kHz channel spacing. Designed for YOUR Panel: The SV-COM-C25 and SV-COM-X83 are available in both horizontal and vertical versions so that you can craft your perfect panel. And, because the Transceiver module is mounted remotely, the control panel is only 1.27” deep. Don’t Miss a Thing: Dual watch allows you to listen for transmissions on both your active and standby frequencies simultaneously, with the active taking priority at all times. Use dual watch to monitor an alternate frequency in busy airspace or listen to ATIS without missing anything on the active. SkyView supports 2 SV-COM Radios. We are excited to announce that the $130 rebate on the D1 is extended through the rest of the summer flying season! It now runs through September 30th. If you haven't made up your mind on the D1 you can still see it in action at many fly-in events throughout the summer - we think you'll agree that the D1 is A Little Attitude for Everyone! Woodinville, WA, July 22nd, 2013 - Dynon Avionics and Advanced Flight Systems (AFS) have joined forces, with the acquisition of AFS by Dynon. Advanced Flight Systems is an innovator in avionics for experimental aircraft. Started in 1999 by founder and President Rob Hickman, AFS first offered one of the most popular engine monitoring systems available for homebuilts. This soon grew into an "aircraft monitoring system" featuring other airframe monitoring and notification systems, a full featured fuel computer, and an engine data acquisition instrument. AFS holds patents on Angle of Attack (AoA) technology and has long been a leader with AoA products. Their EFIS products have long been first to market with innovative new features. Dynon Avionics is the leading manufacturer of avionics for experimental and light sport aircraft, with worldwide sales and distribution in over forty countries. Started in 2000 and located with design and manufacturing facilities near Seattle, Washington, Dynon has been at the center of research and development for modern avionics products. Their mission is to offer advanced products at affordable prices. For more information about Advanced Flight Systems products please contact AFS at 503.263.0037 or info@Advanced-Flight-Systems.com. Q: Why is Dynon acquiring AFS? A: To use Dynon’s financial strength to keep AFS strong and vibrant in the experimental community. Q: Are AFS and Dynon merging? A: No. Both AFS and Dynon will continue to operate as separate companies. Q: Will AFS be moving or consolidating with Dynon? A: No. There are no changes in location in either company. AFS is located in Canby, Oregon, and Dynon is located in Woodinville, Washington. Q: Will AFS be winding down their company over time? A: No. In fact, this acquisition is explicitly designed to keep AFS products thriving in the market. Q: Will Dynon technical support be supporting AFS products, or vice versa? A: No. Each company continues with their own tech support staff. Dynon staff will not provide technical support on AFS products, and vice-versa. Q: Are there going to be changes in personnel, especially at AFS? Is Rob leaving? A: No. There are no changes in personnel. Rob will continue to run AFS and will be busier than ever. Q: Will Dynon Sales and Marketing be promoting AFS products, or vice versa? A: No. Each company will continue their own sales and marketing programs. Q: Will Dynon manufacture AFS products? A: Dynon intends to help manufacture some of the AFS products, although the details of which products and when are not yet decided. Regardless, AFS products will still be theirs, and their delivery, support, and warranty policies will continue as before. Q: Will AFS and Dynon products be combined? A: No. AFS will continue their product line and Dynon will continue theirs for the foreseeable future. The two companies will be sharing their respective technology expertise, so that both product lines continue to improve. AFS will continue to source some product modules from Dynon, like the transponder, with more to follow. Q: What about the previously-announced collaboration between AFS and TruTrak? A: AFS will continue to support TruTrak autopilots. However, a joint ATS venture will not be moving forward. Q: Which product should I buy, AFS or Dynon? A: What is important is you still have a choice of the two best product lines on the market, from companies that are truly dedicated to the experimental market. We have some big news to share today: Two of the biggest names in experimental and light sport avionics are combining forces, with the acquisition of AFS by Dynon. Advanced Flight Systems is an innovator in avionics for experimental aircraft. Started in 1999 by founder and President Rob Hickman, AFS first offered one of the most popular engine monitoring systems available for homebuilts. Their EFIS products have long been first to market with innovative new features. Dynon Avionics is the leading manufacturer of avionics for experimental and light sport aircraft, with worldwide sales and distribution in over forty countries. Our mission is to offer advanced products at affordable prices. Read more about Dynon's acquisition of Advanced Flight systems here. We've just released firmware version 5.5 for the Dynon EFIS-D10A, EMS-D10, EFIS-D100, EMS-D120, and FlightDEK-D180. Firmware for the EFIS-D6 and EFIS-D60 is unchanged and is not affected by this release. Fixed: Autopilot NAVSRC lost messages which caused the autopilot to drop down from NAV to TRK or HDG mode. Fixed: Autopilot altitude hold that was offset by tens of feet from the desired target. Existing altitude offsets may take a few minutes of straight/level AP flight to self-calibrate out. Improved: Autopilot tolerance of EFIS installations that contain higher than ideal vibration levels. Improved: Rotax oil temperature fluctuations smoothed out (sensor type 4). RV-12 customers with D180/D100 products will need a Vans-provided update file that allows their products to upgrade to 5.5. Dynon is currently working with Vans to make those files available as soon as possible. The 5.5 version of the Dynon Support program, which includes the update, can be downloaded here. Update your SkyView Autopilot to the latest features today by downloading Firmware Version 6.0 here. New Expert IFR Capability or Streamlined VFR Simplicity. Your Choice. With SkyView 6.0, Dynon Avionics delivers a highly capable autopilot for expert pilots who fly IFR, as well as an alternate set of simplified controls for those who prefer VFR with out the learning curve. Also we will start to ship our new SkyView COM Radio and Dynon Two-Place Stereo Intercom Monday June 3rd. Just in time to upgrade your panel to show off at Oshkosh! Check out the redundant Dynon EFIS-D100 and EFIS-D10A in the Solar Impulse, currently aloft! The SV-COM-C25 changes the way pilots use their COM radio with a powerful, flexible interface that is designed to reduce cockpit workload. With tight integration to the SkyView system, the SV-COM-C25 allows pilots to tune frequencies by airport and station type – rather than by spinning in a number – at the touch of a button on the dedicated control panel. Pilots can also send frequencies to the radio from SkyView’s airport information pages. Dual concentric knobs let pilots spin in frequencies the old-fashioned way when they are feeling nostalgic (or are following ATC instructions.) SkyView will identify the airport and station type while frequencies are tuned to ensure the pilot is talking to the right radio station. The SV-COM-C25 consists of a dedicated control panel and a remote-mounted RF module: The control panel is only 3.53" x 1.80" x 1.27" deep and is available in horizontal and vertical versions. Two vertical control panels fit perfectly when mounted next to a 10" SkyView display, while two horizontal panels fit nicely under a 7" SkyView display. Although the SV-COM-C25 will continue to function with the rest of SkyView powered off, it does rely on SkyView for setup. Therefore, the SV-COM-C25 must be installed with a Dynon SkyView system. Other features include dual watch, fully backlit and auto-dimming controls, one-touch flip-flop with remote trigger ability, transmit and receive indicators (with active/standby receive differentiation), and a stuck mic indicator with transmit time-out. The SV-COM-C25 is available June 2013 for $1,295. It comes in horizontal and vertical versions; 25 kHz spacing only; Not TSO’d. Dynon’s new two-place stereo intercom solves the problem of having to choose between an under-featured intercom and an expensive audio panel. The SV-INTERCOM-2S has everything pilots need to connect EFIS systems, stereo music, and other audio devices in their panels. Ample inputs are provided to handle the audio sources in modern instrument panels. These include: dual muting inputs (one stereo for music), four non-muting inputs (one stereo for capable EFIS systems such as SkyView; the rest mono for radios and other avionics), dual stereo headset connections, and dual radio outputs. Selectable Auto Mute automatically turns down the music when a radio or other non-muting input (such as an EFIS alert) receives audio. A single knob press toggles whether or not intercom speech mutes music as well. To minimize background noise, the SV-INTERCOM-2S has independent intercom voice activation, so talking on one headset won't open up squelch on the other. Radio broadcasts are isolated so only the person pressing their PTT is heard over the air, with the pilot's transmission receiving priority when both PTTs are pressed. A failsafe connection between the primary radio and the pilot's headset allow radio transmissions in all conditions. While the SV-INTERCOM-2S integrates seamlessly with Dynon SkyView systems, it can be installed in ANY experimental or light sport aircraft, even those without other Dynon products in the panel. The SV-INTERCOM-2S is available June 2013 for $295. Horizontal and Vertical faceplates are included, as are headset jacks. Not TSO’d. Woodinville, WA, April 8th, 2013 – The reviews for the D1 Pocket Panel are in, and they unanimously agree that the D1 is an innovative, game-changing backup attitude instrument that enhances situational awareness and safety in ANY cockpit. Dynon is announcing a $130 rebate to help get the D1 into as many pilots’ flight bags as possible. For a limited time the D1 is only $1295 after rebate. Our New Revolutionary Integrated SkyView COM Radio - the SV-COM-C25 - will change the way pilots use their COM radio. The SV-COM-C25 is powerful, flexible, and designed to reduce the pilot's workload. See the product brochure for more information. The SV-INTERCOM-2S offers audio panel features at half the price.Our new two-place stereo intercom solves the problem of having to choose between an under-featured intercom and an expensive audio panel. The SV-INTERCOM-2S has everything you need to connect EFIS systems, stereo music, and other audio devices in your panel. Visit our product brochure for more information. Woodinville, WA, April 8th, 2013 - With the upcoming SkyView 6.0 release, Dynon Avionics delivers a highly capable autopilot for expert pilots who fly IFR, and an alternate set of simplified controls for those who prefer VFR simplicity. Simplified/Expert autopilot control selection is accomplished via a setup menu option so pilots can try both and see which works best for their flying style. Dynon has also added a new LEVEL button that can be activated from the either SkyView’s menu or an external button. 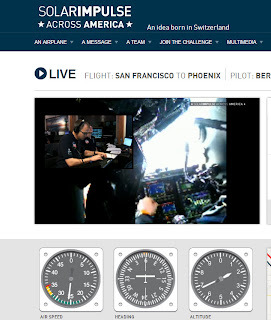 When pressed, the autopilot will immediately return the aircraft to straight and level flight. Pilots can also set a “minimums” alert to enhance situational awareness when flying an approach. SkyView 6.0 is available June 2013, as a FREE upgrade for existing SkyView customers. Autopilot mounting kits designed for the Sonex and Waiex airframes are now available from Dynon Avionics. Like the kits already available for the RV series of aircraft, these mounting kits include custom brackets, hardware, airframe-specific installation instructions, and the servos required for the aircraft. These kits are compatible with both SkyView and the D10/D100 series systems from Dynon. Sonex / Waiex Servo + Mounting Kit Packages are available for both roll and pitch. They are priced at $825 each. Kits can be ordered from Dynon Avionics directly and via Dynon Avionics dealers. Part numbers and additional information are available on Dynon's full price list/order form. Pipistrel Announces Dynon Avionics as Standard Equipment in its Sinus, Virus and Virus SW models! Pipistrel announces that it has chosen Dynon Avionics as the standard equipment in its new Sinus, Virus, and Virus SW models. This provides pilots with easy-to-fly, fuel-efficient and high-performing aircraft that have advanced pilot-friendly avionics. All Sinus, Virus and Virus SW aircraft, including LSA and kitbuilds, can be further upgraded to top-of-the-line dual redundant 7" or 10" SkyView Displays, with autopilot, transponder and ADS-B options. For the flagship Virus SW 100 equipped with the Rotax 912 iS engine, Pipistrel selected the class leading SkyView system as standard. "Dynon is proud to be associated with such an innovative company," said Dynon Avionics president Robert Hamilton. "I have visited the impressive Pipistrel factory, and have seen first-hand how Pipistrel and Dynon are both committed to providing the best-designed and highest-quality products." Therefore, ALL SkyView displays, whether or not they were already checked against the original service bulletin on this topic, must be re-checked using the updated instructions that are available at SkyView Display Circuit Board Replacement - Revision B. As a summary, Dynon Avionics has had some SkyView displays fail in the field. With an intense investigation along with good cooperation from a circuit board vendor, we traced a circuit board defect caused by a wash process not being done correctly. Over time, along with temperature changes and vibration, small contaminants can damage the circuit traces between the board layers. The time period that Dynon shipped displays with these boards is approximately mid-2010 to mid-2011, although not all displays shipped during that period are subject to the Service Bulletin. The Service Bulletin contains a process to determine for sure if you have one of the suspect circuit boards. Dynon is paying for the shipment of displays for repairs under this Service Bulletin, as well as applying a new three-year warranty starting on January 1, 2013 for displays that are affected by it.